Purchasing a larger volume for price quantity breaks is definitely a smart business move. However, the one drawback to buying “bulk” is the savings that will end up getting gobbled when its time to fork over additional costs for handling and storage of all of that extra inventory. 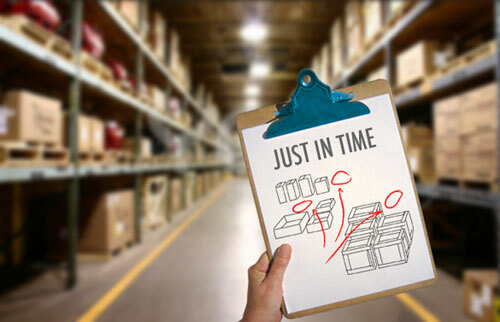 A Vendor Maintained Inventory (VMI) program operates on a minimum maximum inventory plan that is monitored by the packaging company. 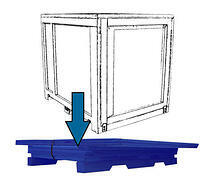 On hand volumes can be reduced to save storage space and packaging can be replenished just in time. This helps the customer save storage space, prevent overstocking, and the uncertainty of potential interruptions of supplies. If you can't go under or around, go up! Stacking materials and product vertically can be a huge space saver. Even better a material handling rack on wheels can greatly improve space and product movement in the packaging department. 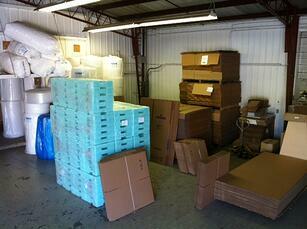 Valley Box custom manufactures material handling fixtures to accomodate a variety of loads. 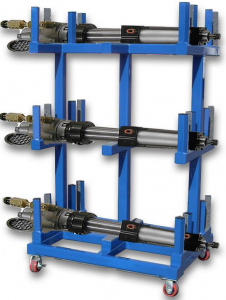 There are also stock racks and stacking systems available. Take a moment to imagine your warehouse going vertical. Perhaps you have a very limited storage space but still need to have packaging on hand. That was the case for one Non-Profit Emergency Relief Agency who required a compact rapid response shipping container for food and medical supplies. The Agency has to act quickly in order to save lives. By having the containers on hand, responders are able to react faster and expedite the packing & shipping faster to get the supplies where they are needed the most. The catch was they wanted the package to be easy to assemble and disassembled by one peron without tools. 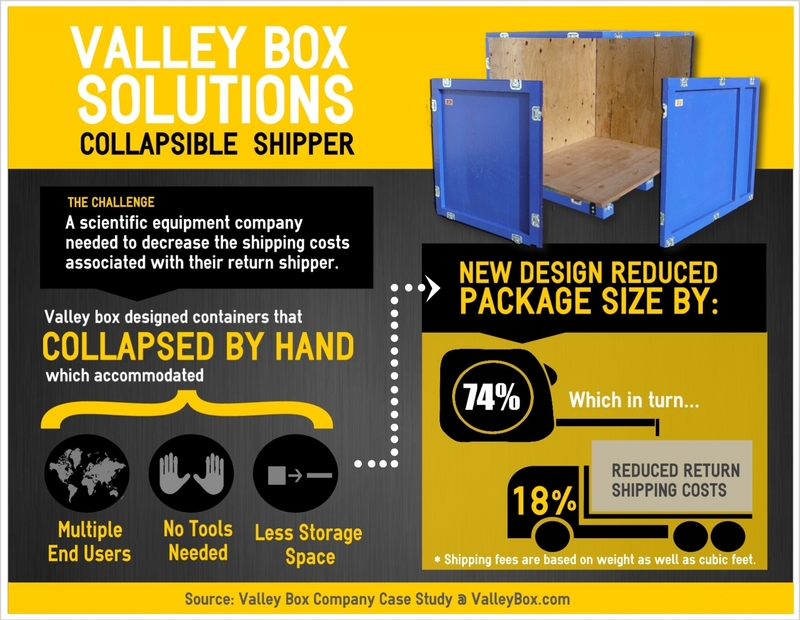 Valley Box developed a collapsible-reusable-box that, when unassembled, reduced storage space requirements by an impressive 74%, while still maintaining an ease of use that was safe and simple to understand by the end user. Because of its collapsed size, shipping costs on the return trip were decreased as well.